I adore fluorite. It is easily one of my favorite minerals — it’s useful, gorgeous, and has a fantastic amount of history to it. Fluorite (CaF2) is the modern version of the name fluorspar, which was coined by Georgius Agricola in the early-to-mid-1500s. 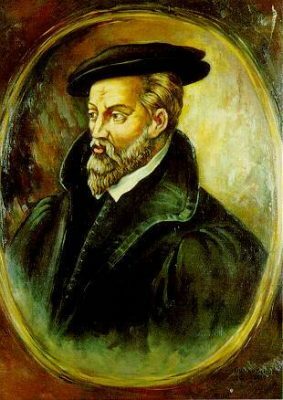 One of the minerals that he described was fluorite, which back in his day was used in iron works, added during the smelting process as a flux. Fluorite lowered the temperature at which iron slag melted, making the production of iron a lot easier on the metalworkers. Because it helped make the molten metal flow, Agricola derived the name from the latin root fluor, meaning flowing. But fluorite’s tricks are definitely not limited to industrial uses. 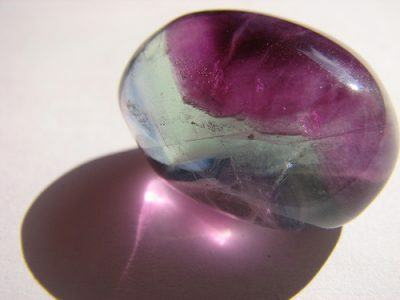 It can form beautiful crystals, and comes in a wide range of gorgeous colors, including purples, greens, and blues. Though it is relatively soft compared to other gemstones, it can be used in jewelry, both as a faceted or rounded stone. Some specimens of fluorite also have the unusual ability to fluoresce under certain wavelengths of light. Fluorescence occurs when one wavelength of light is absorbed by a medium and is re-radiated as a different wavelength of light (thanks, Merriam-Webster!). 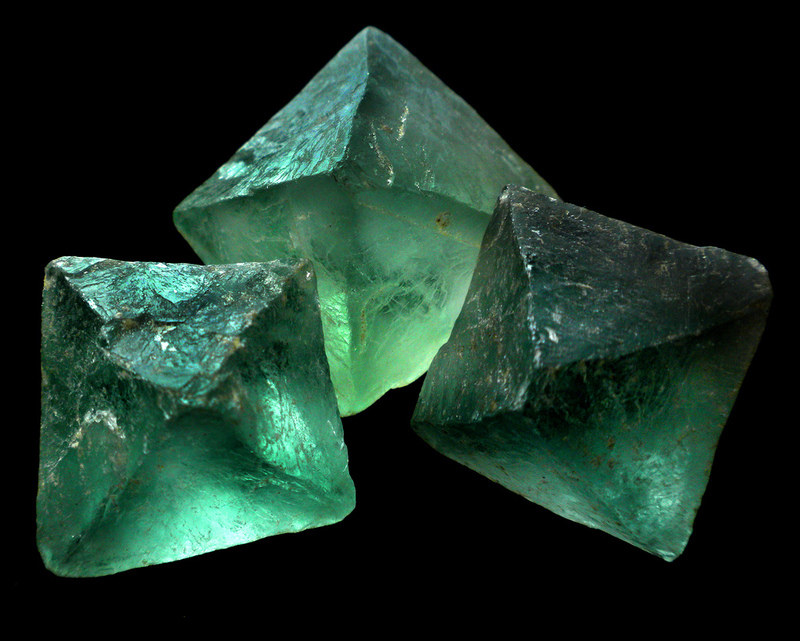 In fluorite’s case, it tends to fluoresce under ultraviolet light. Some types of fluorite fluoresce more brightly and consistently than others. The answers are respectively: no, and fluorite. 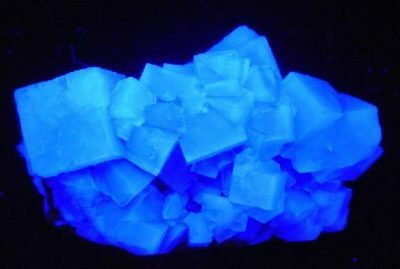 The mineral lent its name to the phenomenon in 1852 when George Gabriel Stokes coined the term after observing fluorite fluoresce. Fluorite also gave its name to the element fluorine (one of its main constituents), which wasn’t isolated until 1886 by Henri Moissan, who was awarded a Nobel Prize for his work. Moissan also discovered the rare mineral Moissanite, but that’s a story for another day.